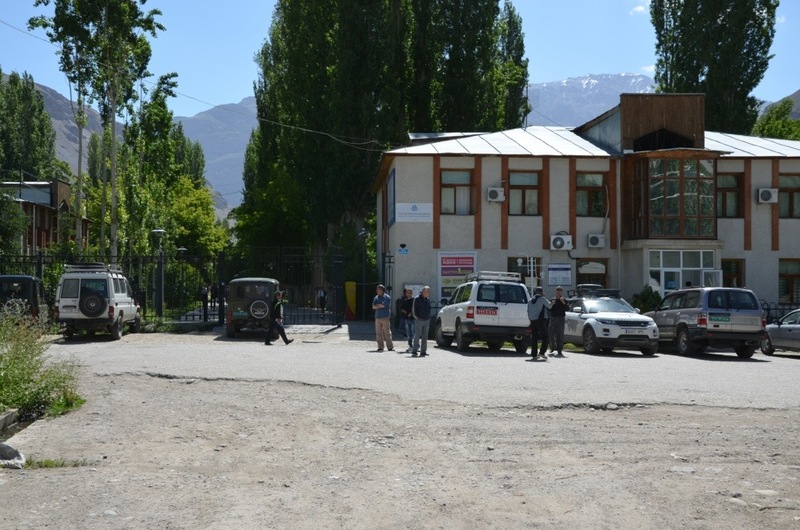 Today we tried to decide what to do over the next week, since we have several days to spend in the Pamir Mountains before heading back to Kirgistan and then to the Chinese border. First thing in the morning we went to see the Afghan consulate to get a visa. They explained us the procedure and costs (USD 100 per person and 150 for the car). But before getting the visa we needed to fix another issue, our single entry tourist visa to Tajikistan. At the local militsia station we tried to get a second entry, or an additional three day transit visa. But no chance, only in the capital Dushanbe you can get all this and it takes days to get things done. And two days on bad roads to go there and come back. So we risked it, drove back to the Afghans and got the visas. We will have to try our luck tomorrow at the border. We’re crossing fingers that everything will find its way tomorrow. The rest of the day we spent resting, buying food and fuel, strolling through Khorog where there is not much to do. We also went through all out things and filtered a lot of stuff we don’t need. Some things we threw away, others we’ll try to send back home from the next bigger city, others we’ll give away. From the six boxes of food and stuff we’re down to four, slowly the car makes space for things to buy as souvenirs or practical items for the road. Or just to finally be able to see through the rear window again, if the dirt allows it. We also tried to find a solution to the Myanmar crossing problem we mentioned the other day, calling the agency in Yangoon that is trying to get us through as well as airlines to check if we can ship the car from India to anywhere in Indochina. All this took ages, since the only Internet connection was a EDGE USB modem we got from the hotel owner. One email takes half an hour to download and read, and another half hour to reply, in several attempts. Super frustrating. Also, our Berlin visa agency is proving to be more of a problem then a help, since they won’t send our passports to us until we don’t pay a couple of hundred Euros. With no Internet, online banking is impossible for the next week. We have paid all invoices on time so far and have more business lined up for this guy. We can’t believe the rigidity, knowing how difficult things can be on the road. 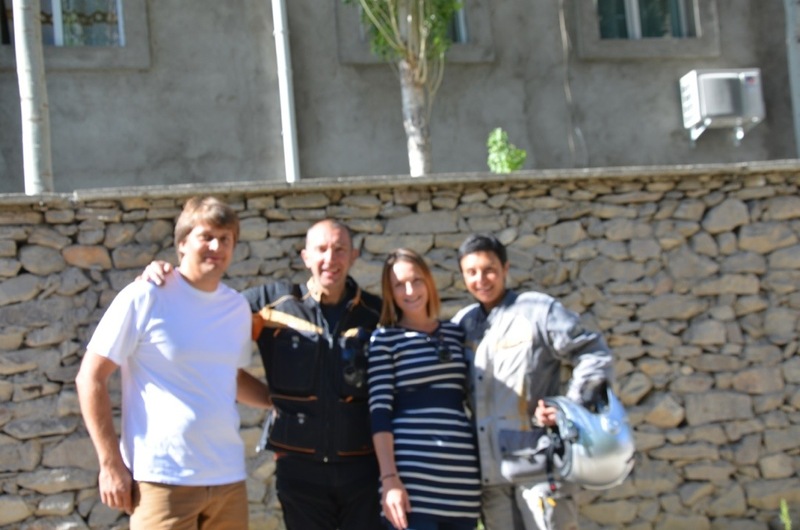 Anyway, we also met an Italian couple touring the area on a motorbike, Fabrizio and Rosanna, that are staying in our hotel. 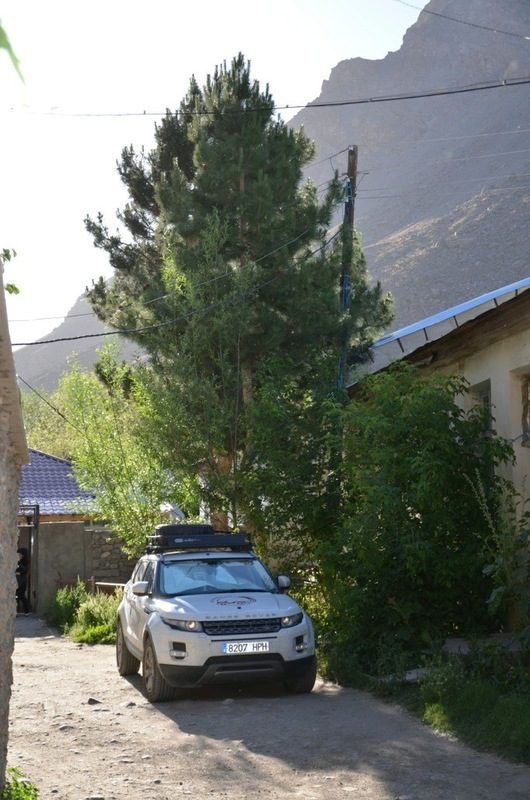 We crossed roads already in the previous days in the Pamirs. We chatted several times during the day and went to dinner together. They have done several trips to all kind of places and we shared a lot of insights. Tomorrow we’ll meet them again on the road to Ishkashim.